Welcome to Dallas Mobile Fingerprinting in Irving, Dallas, and Fort Worth, Texas! We are a Dallas Mobile Fingerprinting and Dallas Mobile Notary services company. 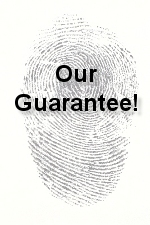 We offer ink based fingerprinting and Texas Notary Public services throughout the entire Dallas - Fort Worth, TX areas. We are fully trained and certified as approved by the Texas Department of Public Safety’s Private Security Bureau, authorized to fingerprint for all 50 States and for any FBI fingerprint background check. We are available by appointment every day of the week. Call us at (214) 529-8157 for your low rate quote and to schedule your convenient appointment. Save time and money by calling Dallas Mobile Fingerprinting! is not only our company slogan, it is guaranteed! These days, people are extremely busy and need an affordable service company like ours to come out to their home or office for their fingerprinting and notary requirements. Dallas Mobile Fingerprinting offers the lowest mobile trip charges throughout Dallas, TX and Fort Worth, TX and the best rates for fingerprinting. 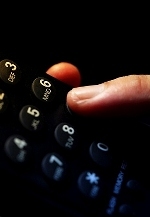 One call is all you need to make because we will beat or price-match our competitors’ rates. Our experience and commitment to excellence is second to none. These are the reasons we are becoming widely recognized as the top fingerprinting company in the Dallas – Fort Worth, TX Metroplex. We are trained and authorized to provide all of the same fingerprinting that local police departments and other law enforcement agencies provide to the public, and more. Not only do we offer business professionals and the general public with the same applicant fingerprinting that law enforcement agencies offer, we also do Immigration fingerprinting and FBI fingerprinting. In addition, police departments and law enforcement agencies do not offer mobile services. They only fingerprint certain days and hours each week for the citizens of their respective cities and they do not supply fingerprint cards for the public. The most commonly used card is the FD-258 Applicant Fingerprint Card and we carry a large supply of them at all times! Why stand in line at your local Police department in an intimidating jail house booking room to get fingerprinted by a uniformed officer or inexperienced clerk when you can get your fingerprinting processed in the convenience of your own home or office by a fingerprinting expert? Not only do we offer the highest quality of fingerprinting work at the lowest prices in the Dallas area, we guarantee all of our work. We take our time to perform a quality check on all of our fingerprinting to ensure your prints are rolled correctly the first time. Fingerprinting and Notary services are our profession and we take this business seriously and with a high level of pride and expertise. Dallas Mobile Fingerprinting maintains an exceptionally low classification rejection rate of less than 1%. Rejections are often due to adverse skin conditions such as washing hands excessively, dry skin, cracks and lighter ridge detail due to aging, callused fingertips and injuries. 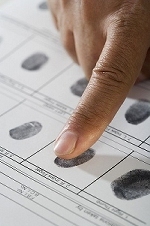 For these reasons, no fingerprint technician has a perfect record. Our guarantee is that if any fingerprint cards are returned as unclassifiable, we will reprint again at no charge even if we are not at fault. You can count on Dallas Mobile Fingerprinting to get the job done right the first time. There is no substitute for experience and excellent results! Dallas Mobile Fingerprinting offers a convenient and affordable mobile service. To save you time and fuel, we will travel to you for your fingerprinting and notary needs. For individuals that prefer to be fingerprinted without paying a mobile travel fee, we also schedule daily office appointments in our Irving, TX office. To schedule an appointment either way, just call us at (214) 529-8157. Whether you contact us first or contact us last, we’ll give you the best price quote so that you can start saving time and money immediately. You should pay a fair price for fingerprinting and notary services and our pricing structure fits most budgets comfortably. Our success is based upon our proven track record of professionalism, experience, availability, and dedication to providing exceptional fingerprinting and notary services to all of our customers! Convenience and Experience at Your Fingertips is what you need when you are required to complete this important process. Nobody likes going to a police or sheriff’s department to do their fingerprinting just like people do not like having a police car following right behind them on the road. It feels intimidating and it can give you a strange feeling like you’ve done something wrong even when you haven’t! Countless customers have told us they felt much more relaxed having us fingerprint them since we are not officers of the law but just as experienced, qualified, and certified to fingerprint them. We stock the required fingerprint cards you need, including the standard FBI FD-258 Applicant fingerprint card commonly used for most types of non-criminal fingerprint background checks. We can also fingerprint you on other types of cards you’ve been provided, such as different State cards, FINRA fingerprint cards, USPS fingerprint cards, etc. 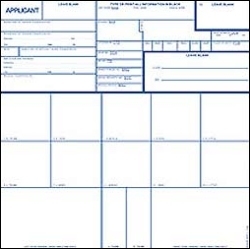 We sell official blank FD-258 cards to those that prefer to have another official or agency process their fingerprinting, especially for those not located near the Dallas – Fort Worth area. 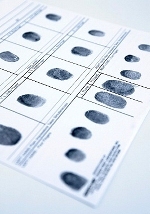 If we do your fingerprinting, the cards are included at no additional charge to you.